I’ve been watching a lot of X-Men this week. After the “okay” Last Stand and the “less than okay” Origins/Wolverine…. Well isn’t this just a breath of fresh air! 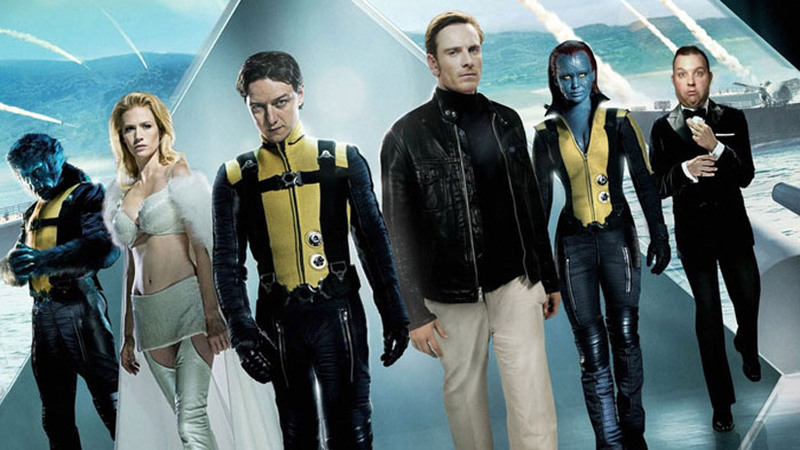 Today’s movie, nice and early because I have the day off, is the 2011 Matthew Vaughn directed X-Men: First Class. While not technically a reboot, XMFC does give us a fresh look at the start of many of our beloved heroes and villians. Unlike Wolverine’s first solo movie, this movie actually was pretty straight forward of it’s timeline - starting in the 40s, but really taking place in the 60s. And it actually looked like the 60s. One thing I noticed is that this movie basically retcons some stuff in X3, primarily the age of Dr. Moira MacTaggert, played this time by Rose Byrne. Where is X3 she was much younger than Patrick Stewart’s Professor X, this time she’s basically the same age as James McAvoy’s Professor. The other thing that almost threw me off was the age of Mystique, but one line cleared that all up - a method I had wished Origins/Wolverine had used from time to time…. My apologies to all the huge X-Men fans out there, but this probably was my favorite overall X-Men so far. I look forward to see what “The Wolverine” is all about and hope to see “Days of Future Past” soon, but so far this one is definitely the top of my list. What can I say? I’m a sucker for a team forming - and training montages. This movie is already 3 years old, most of the movies I am watching are old and you’ve probably read everything you can about them. So really, what can I bring that is new to the table? Probably nothing - except I really really liked this movie. This is probably the top of the list so far in the 6 I’ve seen. I feel like I’ve been watching a ton of movies so far (for me, seeing 6 movies in 6 days is a ton) and then I realize I’m only 20% of the way through my 30 movies. And I’m psyched to keep going. I know 2 upcoming movies I am going to watch, and I’ve really started out with many of the movies I’ve been dying to see (okay, I wasn’t dying to see Devil…) but I wonder what the hell I’ll be watching on day 19? Day 25? I can’t wait! And I hope that they are as close to being as awesome as this movie was. 6 down. 24 to go!